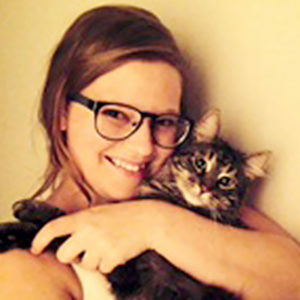 Graduated from NAIT in 2014, Dasha currently lives in Westlock with Gus, the cat. She grew up in Strathmore and gradually moved north. She enjoys hiking, reading, baking, and other shenanigans. Dasha did her practicum at Westlock and joined the WVC team in 2014 after graduation.